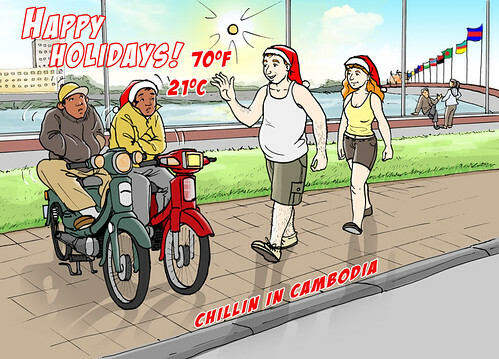 It’s breezy and cool – for Cambodia. Perspectives on just HOW cool differ. Concept sketch Jinja, pencil and ink Vuth, coloring Channa. Everywhere you go, you always take [preconceptions of] the weather with you. Happy Holidays! Ah! I love this!!! Happy holidays, John!